You say tom-ay-to, I say Burt’s Bees Tom-ah-to Toner. Last summer, after a lifetime of totally neglecting skin care, I decided to put on my adult pants and get my act together. That was when I discovered the magic of Burt’s Bees Garden Tomato Toner. My sisters had recommended it to me a handful of times, and its 4.5-star rating on Amazon seemed legit. Like any self-respecting millennial consumer, I made sure it was available on Amazon Prime (it was) and then added it to my cart for $11.99, or the price of two almond-milk lattes. You’re supposed to use a new product for two full weeks in order for your skin to calibrate and react, but it only took mine 7.5 hours to hop on board. When I woke up my skin was markedly less red, my pores smaller, and the sheen of oil that usually coats my face had disappeared. I've used witch hazel before, and I like how gentle it is, but it doesn’t get all up in my venti-sized pores like this stuff does. It’s the Swiffer of skin care products. 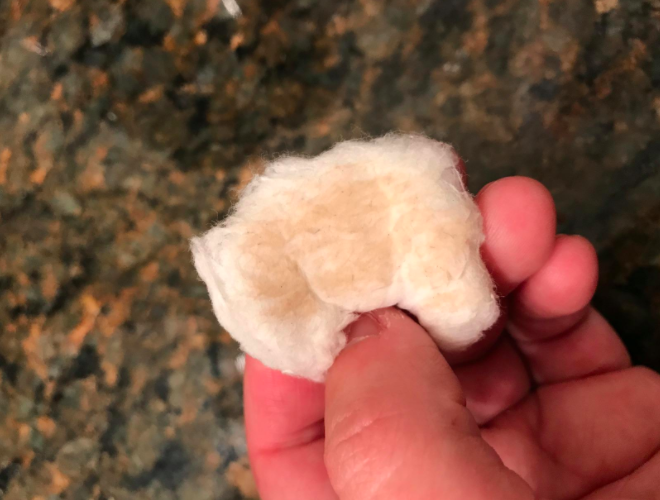 Even after I scrub my face with regular face wash, a dab of this tomato toner on a cotton ball picks up an ALARMING amount of residual grime. 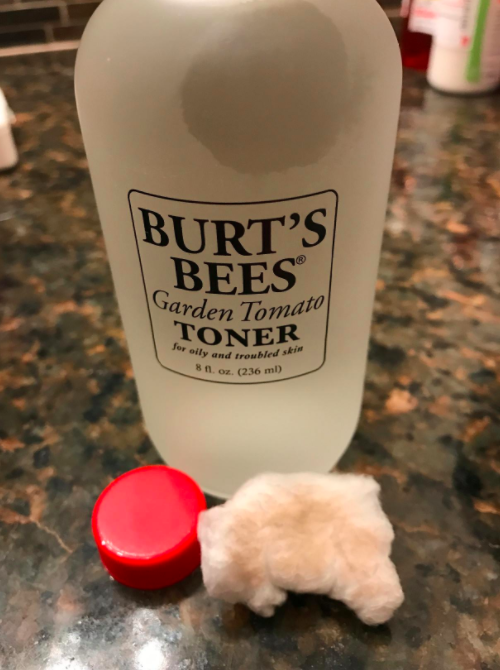 Burt’s Bees Tomato Toner is a natural multitasker — it removes dirt, oil, and makeup, tightens pores, absorbs excess oil, preps skin for moisturizer, and clears up redness and acne. Because it takes care of seven things at once, my skin care routine clocks in at under five minutes before I leave for work. This is ideal, because I value convenience too much to have any more than three steps in a skin care regimen. In other words, I’m lazy AF (I use a three-in-one shampoo/conditioner/body wash). It also works for a wide range of skin types. I can attest to this since my boyfriend and I both use it. His skin is on the drier side, and mine is oily past the point of of even trying to excuse it as “dewy,” but the toner clears up pimples for both of us. V romantic. Again, Amazon reviewers are with me! And major bonus: The main event is tomato extract (which speaks to me not only as a person who loves tomatoes, but also as someone who prefers natural skin care products). It also smells amazing. It’s what I imagine Amortentia would smell like to me: tomato vine, cucumber, and maple. And the glass bottle is apothecary chic, an #aesthetic I just made up. I’ve been using this for many moons and for the duration of all four seasons, so it’s safe to say I’d give it a 10/10. Get it from Amazon for $11.99 or Macy's for $12.